Pieter Kruit is full professor of physics at Delft University of Technology in the Netherlands. He has had a chair in charged particle optics since 1989, heading a group with three permanent scientific staff, five technical staff and on average eight PhD students. He is (co-)author of more than 200 publications in refereed international journals, author of more than 60 international patents, and has supervised more than 30 PhD dissertations. His research is always related to the development of electron- and ion-optical instruments, “trying to improve our eyes to look at the microscopic world and the hands that we use to create a new nano-world”. He has had research programs on nm-resolution electron spectroscopy, developments of low energy-spread electron- and ion sources and multi-beam optics for microscopy and lithography. Most of his work is performed in cooperation with industry. For his work in electron lithography he founded, with two of his graduates, MAPPER Lithography. This company has now grown to more than 250 employees. His involvement in trying to reduce magnetic disturbances from a planned tramway through the university has led to a novel current supply system to be implemented on the Delft campus. Based on his ideas on combining electron microscopy with light microscopy, he started a new company with some of his coworkers and students. Among his organizational responsibilities was the presidency of the Dutch Society for Microscopy, the editorship of Ultramicroscopy and the directorship of the Delft physics education. In acknowledgement for his contributions he received the national physics “Valorization award” and the University’s yearly teaching award. In 2012 he was knighted in the order of the Dutch Lion. Research Associate at the University of Pennsylvania, Philadelphia, USA. Research Associate at TU Delft, Department of Applied Physics. Head of Department of Applied Physics (300+ employees). Editor of Ultramicroscopy, an Elsevier science journal of 20 issues/year. Chairman Scientific Counsel of TNO-TPD, an applied research organization with 500 employees. Member of Board of Directors FOM, the national physics funding organization. Co-founder and first CEO of MAPPER Lithography B.V., a company with presently 200 employees developing advanced electron lithography equipment. Now member of the Supervisory Board. Program Chairman MNE2004, international conference with 300+ participants. President of the supervising board “Studium Generale” of TU Delft. 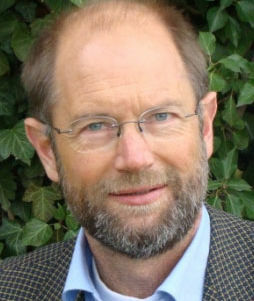 Co-founder of DELMIC B.V., a company that commercializes the latest developments in correlative electron–light microscopy.2011	Recipient of the “FOM valorization award”. Knighthood in the order of the Dutch Lion.2013 Recipient of the Delft University “Leermeesterprijs”.